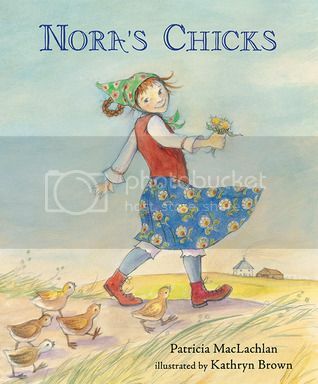 Russian emigre Nora is friendless and lonely on a prairie farm, until she takes in some chicks and meets another little girl down the road. Willie the dog ends up favoring her baby brother Milo, and it isn't until Nora takes on a flock of chicks that she truly has something of her own in their new home. This was a sweet and heartwarming tale. Gentle, yet detail-filled, watercolor artwork features several full spreads and some spot illustrations. Endpages feature blue and yellow flowers in a Russian folk-art design. 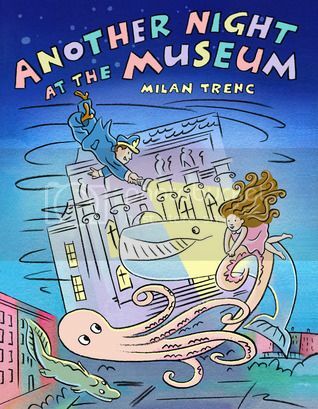 Melissa and her dad Larry, a guard at the New York Museum of Natural History, are in for a watery adventure when the museum comes to life and floods the city. The father-daughter duo swim with prehistoric sea creatures alongside many famous New York City landmarks. The book features digitally altered watercolors. This lengthy picture book is potentially a good Father's Day selection. The book is appended with questions and facts from the museum. 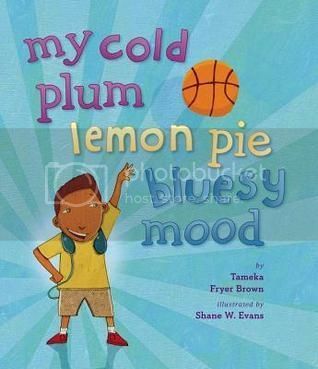 Colors are equated with emotions for an upbeat African-American boy, the middle child in his family. Lines such as "A purple kind of mood/Cold-plum eating/Grape-juice drinking/On the couch/Bobbing to the beat kind of mood" and "Bomp, bomp/Bip, bip, bap/Orange mood/Moving, schooling/To the hoop/Swish!" make this story rhythmic and fun. The artwork is comprised of digital collage with oil paints and graphite, while the endpages feature rings of pastel color. Nugget and Fang: Friends Forever or Snacktime? 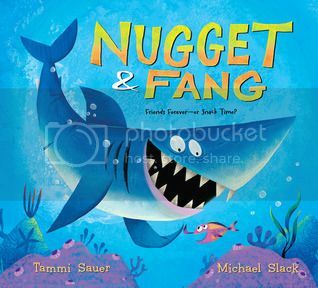 This story stars two unlikely friends: a shark and a minnow see their friendship put to the test when Nugget goes to school and learns about the dangers that sharks pose. Shunning Fang, his now-lonely friend tries to get back in Nugget's good graces by dressing up as a mermaid, extending a dinner invitation, even sending a special delivery message, "You're fintastic!" Saving the minnows from a fisherman's net finally convinces Nugget and his new school friends that Fang can be trusted. The book is appended with a final illustration of Fang proudly showing off a picture of his food chain - a vegetarian menu. A humorous book for shark aficionados. Digital illustrations have a painterly feel.